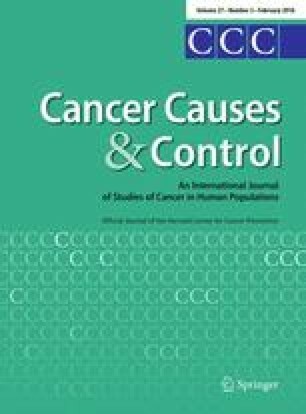 Main aim was to estimate the association between use of exogenous hormones and breast cancer (BC) risk in a large population-based survey, and to assess the representativeness and overall validity of the data. The survey ‘Women’s Health and Use of Hormones’ was conducted in Finland in 2009, including 7,000 BC cases and 20,000 matched population controls. Conditional logistic regression was used to estimate odds ratios and their 95 % confidence interval. For validation, exposure prevalences were compared with population data from Statistics Finland and two large population-based surveys. We found positive associations with BC risk and exclusive use of hormone-releasing intrauterine device (HR IUD) in postmenopausal women (1.48, 95 % CI 1.10–1.99), when compared to never-users of any hormonal contraceptive and considering only prediagnostic use in cases. Regarding use of other hormonal contraceptives (HC), a positive association between long HC use (≥2 years) and BC was observed in both groups, OR being 1.37 (95 % CI 1.12–1.68) for premenopausal and 1.11 (95 % CI 1.03–1.20) for postmenopausal women, when compared to never-users of other HC. Observed association between HR IUD use and risk of BC in postmenopausal women is worrying and deserves further attention. Selection bias seemed not to explain this result. Considering the increasing popularity of HR IUD use in, e.g., USA, impact of possible adverse effects in public health could be significant. The online version of this article (doi: 10.1007/s10552-015-0702-5) contains supplementary material, which is available to authorized users. The original research and data collection for WHH were funded by the German FED Berlin, Center for Epidemiology and Health Research, and it produced a study ‘Levonorgestrel-releasing and copper intrauterine devices and the risk of breast cancer’ by Dinger, Bardenheuer, and Do Minh, published in 2010. Sanna Heikkinen was supported by the Cancer Society of Finland for the present study (Epidemiological Researcher-grant, http://www.cancer.fi/en/). SH and JP made data analysis and wrote the manuscript. MK and EP designed the WHH study and related data collection. NM, TS, EP, and MK critically commented the manuscript.